Welcome to the new Golds Menswear website. Your store for regular and plus size menswear in London. 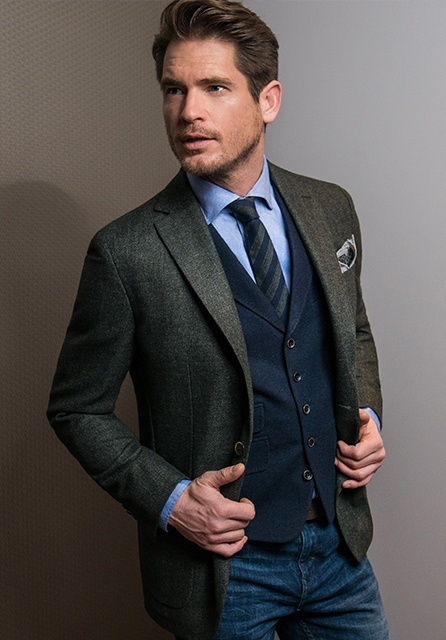 We are one of the largest stockists of men’s clothing on the high street and we specialise mostly in formal wear, men’s suits, blazers, sports jackets, trousers and winter wear. We stock over 8,000 suits at one time, so you won’t find it hard to find a suit at Golds. Our suits sizes start at size 30 up to 74-inch chest these fittings come in short regular and long fittings. We also carry the largest range of portly fits on the high street, also known as the Golds fit. This fitting basically means that the body of the jacket is slightly larger so that you don’t have to over compensate getting a bigger jacket to be able to close it. One of Our high end Suit Brands is BÄUMLER. 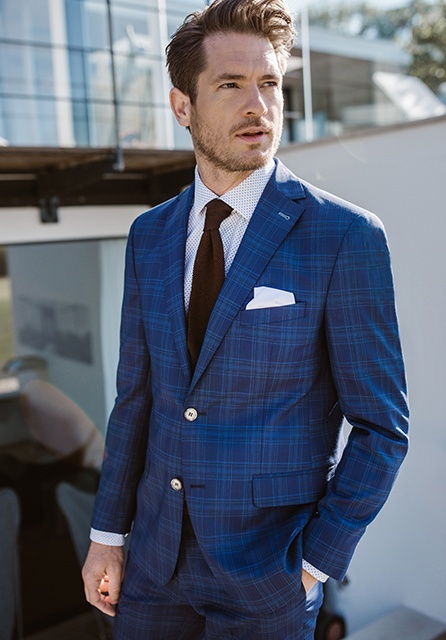 BÄUMLER has been one of Europe’s most important leading men’s fashion labels, offering high-quality suits and sport coats. Men especially appreciate the stylish cuts, fine fabrics and modern silhouettes. A Bäumler suit or sports coat makes a strong statement through masculine elegance and good fit. A brand to be worn both in a business setting but also after hours. In our Baumler we carry a large selection of suits in a MIX and MATCH. At Gold’s we have Our expert team of in-house tailors and seamstresses ensure each garment is altered to the comfort of the customer, be it shortening trousers, tailoring jackets, or any other alteration. We also offer alteration’ s while you wait and there may be a small charge for this express service.